In the continued growth of beer and breweries across the country, one style has enjoyed increased popularity: sour beers. A beer isn’t considered sour because it’s spoiled. The name “sour” is applied to beers that are fermented in barrels with strains of wild yeast like brettanomyces or strains of bacteria like lactobacillus. While sour beers may not appeal to everyone’s taste, they’re a complex and refreshing alternative to heavy stouts or hoppy IPAs. The best way to think of these flavors is “tart,” more like the candy we enjoyed as kids. Beers produced with wild yeast and bacteria range in flavors from grassy and floral to tangy and sweet; sour beers easily lend themselves to infusing with different fruits and spices. Looking for sours in Columbus? Here’s where you’ll find them! 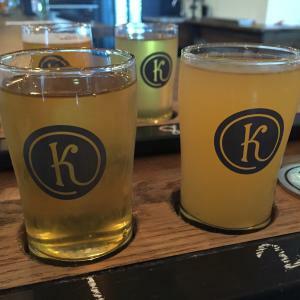 Kindred Brewing is focusing on a big sour beer program. You can sit in their Gahanna taproom and spy the barrel-aging room. They serve a variety of styles, but have ventured into sour territory already with their Berliner Weisse and Biere de Mars, and have released their Wanderlust and Spring Thaw sours in bottles, with more on the way. 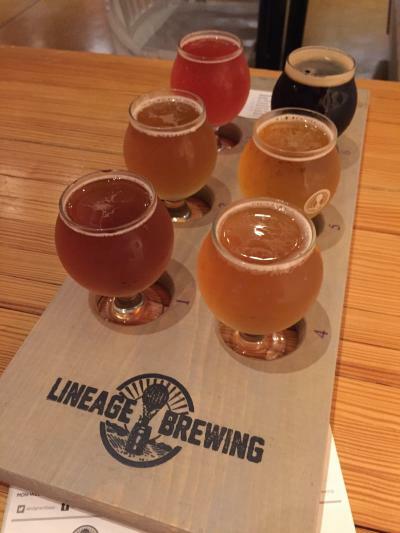 Lineage Brewing features a beer called Aunt Bernice. Bernice is a Berliner Weisse, a common type of sour wheat beer that’s slightly hazy, light-bodied, and tart. They regularly take casks of Aunt Bernice and infuse it with everything from pomegranates to raspberries to grapefruit. 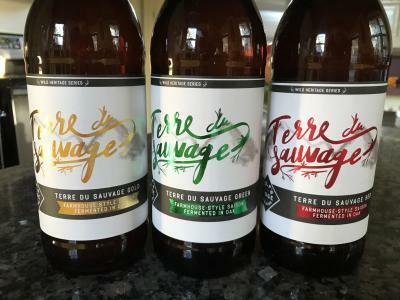 Wolf’s Ridge Brewing introduced their Terre du Sauvage sour series, a collection of saisons fermented in oak barrels and either dry hopped or blended with other ingredients. They’ve rotated through other sours, too, like their sour wheat gose (pronounced “GO-za”). Cleveland-based Platform Beer Co., which opened a brewery and taproom in downtown Columbus, offers a steady selection of sour beers, like their City Boy Berliner Weisse and Shanghai Noon gose, both part of their 12 Kettles sour series. The new Pretentious Barrel House is the first Columbus brewery to focus exclusively on sours. 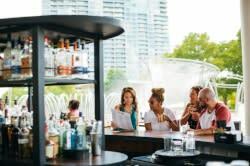 Their new taproom on the east side is open Thursdays through Sundays. While their portfolio will surely grow as more beers finish aging, they’ve got a strong start with brews like the Sybarite sour red ale or their Truculent American sour with ginger and lime zest. Hoof Hearted Brewing has tinkered with sours, most notably their Rose Gose, a gose infused with hibiscus. And another sour-focused brewery, Random Precision Brewing, is on the way for the Linworth area on the northwest side.